The ALC Baseball coaching staff has been very busy recruiting and signing players for the upcoming season. Assistant Coach Brandon Arnold spoke highly of ALC’s newest baseball Eagles. 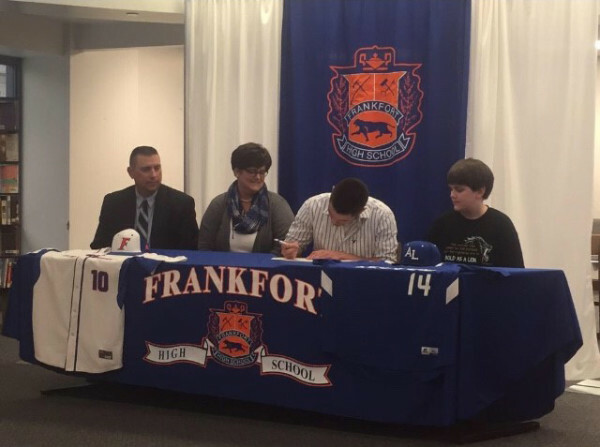 “Caleb signed his letter of intent to come play baseball and cross country. He is a middle infielder, outfielder, and pitcher. Caleb has great footwork and defensive skills, hits the ball well, and pitches it extremely well. We believe that Caleb will be a contributor for us all over the field. We are extremely excited to have him come next semester. Check out www.facebook.com/AliceLloydCollegeAthletics to stay updated on all recent signings!